At the beginning of the 20th Century the Appellation d'Origine Controllee system for wines was introduced in France. This Appellation is a legal definition which guarantees to the consumer the precise geographical origin of any quality wine. The Appellation guarantees that all the grapes used in a particular wine come from the prescribed area. All Bordeaux wines are AOC, however each can belong to different groups, regional, sub-regional and communal AOC's. Although narrow, the great length of the Medoc wine producing area to the north of Bordeaux covers about 14,000 hectares (35,000 acres) and is of sufficient variety to permit the production of eight different AOC's, two sub-regions, Medoc and Haut-Medoc, and six local appellations - Saint Estephe, Pauillac, Saint Julien, Listrac, Moulis and Margaux. [c][cartevi][/c] To the west of Bordeaux are found Graves and Pessac-Leognan, producing white and red wines. On the east bank of the Gironde river are found Saint Emilion and its satellites Pomerol, Canon and other Fronsacs, and the Cotes Bordelaises. 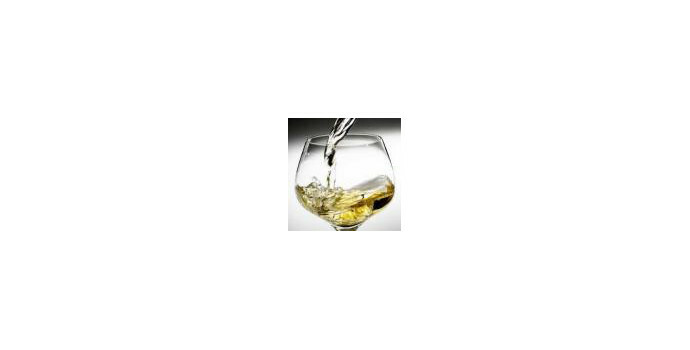 Finally, to the south of the Gironde the dry white wines of Entre-deux-mers complement the sweet whites of Sauternes. Once a wine has been purchased, it must be cellared carefully until the moment comes to open and drink it. The wines of Bordeaux, being of a very high quality, must be stored with care. To age these wines in ideal conditions they need to be kept in a cellar which is relatively cool. The ideal is a cellar where the temperature remains constant, around 110 to 12°, or between 100 and 14°. However, these wines will tolerate a temperature going down to 7° or 8° in winter and up to 20° in summer, but such changes in temperature must be very gradual. The wine will age more quickly, but the results will not be dramatic. In addition it is desirable that the cellar be sheltered from unpleasant odours, vibrations, bright lights and draughts, and it should be well ventilated. Finally, it must be neither too dry not too humid, between 70% and 80% humidity is ideal. The bottles should be laid on their side allowing the wine to remain in contact with the cork, which will ensure its integrity during maturation. Before tasting the wine, you should first bring it up to the correct temperature which will bring out its flavour. Around 18° for red wines, between 8° and 10° for dry white wines, and 8° for sweet wines which should be cool but not too cold. When should you uncork the bottle? A young wine should be opened two or three hours before serving it; for an older wine half an hour to one hour. On the other hand, for very old wines, the grandes millesimés which have reached their zenith, a half an hour maximum. Next comes the decanting of the wine. You should pour the wine very slowly and without agitation from the bottle into a carafe in order to separate it from any remaining deposits, thus aerating the wine and allowing its bouquet to develop. First of all, take your time to look at it and smell it. [b]The visual examination[/b] For red wines, a good colour is an indication of a good constitution. A careful examination of the liquid will give a good indication of the nature of the wine. Put the glass in front of a light source and observe its brilliance. A luminous wine will likely prove its vivacity, on the other hand a dull wine may well be uninteresting. Look at the limpidity of the wine! For all wines that limpidity is a vital quality. The colour indicates the state of the evolution of the wine. Red, purple with violet reflections for a new wine. Cherry red when a wine is well made but still young. Red with some copper tones or vermilion for a wine which is starting to become older; Reddish brown but still brilliant with bronze reflections for a wine that is already old. [b]The Olfactory examination (Nosing the wine)[/b] First of all, smell the wine without agitating the glass. Gradually you will discover aromas which come together and form a complex ensemble. Then, to amplify these aromas, we recommend you to turn the wine in the glass with a slow and progressive movement. The fragrance of a wine consists of many different perfumes - the bouquet of flowers - lime blossom and acacia for the Whites, violets for the Reds, the bouquet of fruits - blackberries, cassis, strawberries, cherries for the Reds, pineapple, peach, exotic fruits for the Whites, aromas of vegetation - leaves, herbs, fungi, aromas of wood - pine, resin, cedar, aromas of game - leather, musk, aromas of spices, foods, confections. The 1st Century AD: the first vineyards in Bordeaux. The vine first appeared in our region in the 1st Century AD when the Biturges, a tribe of Celtic warriors, decided to plant their own vineyards with a new grape type more resistant to cold which they called "the Biturcia", which was the ancestor of the Cabernets. The 12th Century AD: England and the birth of the commercial vineyard. In 1152 Eleanor, Duchess of Aquitaine married Henry Plantagenet, future King of England. There started a series of important commercial contacts: the English exported their foodstuffs, textiles and metals and imported in exchange the wines of Bordeaux which they liked very much and which they called "Claret" on account of its light, clear colour. English shipping to the port of Bordeaux by the Gironde estuary encouraged the export of wine and built the reputation of Bordeaux as a source of wine and trade. In those days shipments were made in casks of 900 litres (the equivalent of 4 Bordeaux barrels of 225 litres). Thus the 900 litre cask became the standard for international trade by sea. The 17th Century: Holland's role: The 17th Century saw the dawn of a new commercial era with the appearance of the Dutch, the Hanseatic League and the Bretons. The Dutch started a new business by importing quantities of wine which they distilled into brandewijn, the Dutch word for 'burnt wine', from which comes the English word "brandy"; thus Bordeaux became suppliers not only of Claret but of white wines, both dry and sweet, destined for distillation. The 18th Century: The Caribbean Islands: Santa Domingo and the Lesser Antilles imported increasing amounts of Bordeaux wines, and this led to a Golden Age of trade which continued until the French Revolution; England at that time was taking only 10% of Bordeaux's exports but was importing the superior qualities which established the reputation of Bordeaux wines at the top of London's "High Society". This was the time when Bordeaux wines first started to appear in bottles and sealed. The 19th Century: Crisis and prosperity: In the middle of the 19th Century a terrible disease struck the vines of France - Phylloxera. Luckily by 1857 methods to alleviate the disease were being introduced. Once the threat of Phylloxera receded , the vineyards of Bordeaux entered one of their greatest periods following the "Classification of 1855" whereby the wines of the Medoc, Sauternes and Haut-Brion in Graves were graded into five categories and were declared to be the finest in France. The Industrial Revolution encouraged both wine producers and traders to adopt a more broadminded attitude and trade flourished again: Between 1865 and 1887 production and exportation hit new records, to Germany, Scandinavia, Belgium, Holland and England. The 20th Century: Rules and Regulations A new crisis hit the wine industry at the end of the 19th Century: fraud and lower prices. The Wine Trade in Bordeaux got together to support national legislation (1911) which defined legally a wine's origin and the area within which it could be produced. This legislation led, in 1936 to the creation of the National Institution of Appellations d'Origine (AOC) which laid down precise production rules for every wine - where it could be produced, from which grape types, how it was to be cultivated and vinified, to what percent of alcohol it could be fermented. Now, 97% of all Bordeaux wines are controlled by the AOC rules. New classifications were introduced for Graves, then for St Emilion in 1955, and after the terrible frosts of 1956 the wine producers gradually rebuilt their trade and created a growth in exports throughout the world.